MALAYBALAY CITY (Information and Publication Service) A total of 42 faculty members have availed of Bukidnon State Universityʾs Faculty Development Program (FDP) to pursue their advance education degrees since Dr. Oscar B. Cabañelez, university president, approved the implementation of the program in 2016, according to a report from the Office of the Vice President for Academic Affairs (OVPAA). Nine of the 42 grantees have already completed their post graduate studies through the FDP. Five of the grantees completed their doctorate, according to the report signed by Dr. Estela C. Itaas, vice president for academic affairs, as of August 2018. Among the universityʾs new doctorate holders are Dr. Marlon S. Frias, from the College of Arts and Sciences, who completed his Ph. D. in Mathematical Science in Applied Mathematics in the University of Science and Technology in Southern Philippines (USTP) with support from the FDP. ʺIt was indeed very helpful. The financial support freed us from other worries and made us focus on the content of our research,ʺ said Dr. Frias, who obtained a dissertation grant. Dr. Joamel P. Gellor, also from CAS, finished his Ph.D. in Science Education (Mathematics) in BukSU with support from the FDP along with Dr. Wilfred Alava, from the CAS Natural Sciences Department n, who finished his Ph.D. in Education major in Instructional Systems Design also in BukSU. From the College of Education, FDP grantee Dr. Edna Maganding also finished her Ph. D in Education major in Instructional Systems Design at BukSU. Dr. Jiemalyn B. Paulican of the College of Social Development and Technology (CSDT) also obtained her PhD in Agricultural Education in Central Mindanao University under the FDP where she obtained a year of study leave to write her dissertation. Dr. Paulican is the department chair of the Community Development/Development Communication Department of CSDT. Twenty nine other faculty members are still pursuing their doctoral degrees in different universities under the FDP. Another set of qualified grantees are in queue for inclusion in the FDP this month, Dr. Itaas said. Dr. Oscar B. Cabanelez, university president, said he has renewed his call for the faculty to avail of the FDP as his administration is committed to help them pursue advanced studies. He said this will help the faculty boost their expertise and career, one of his priority agenda as university president. Dr. Cabañelez said aside from the support given to the FDP full time grantees, the university is also extending support to all faculty members pursuing their advanced studies as part of the FPD. He mentioned some are receiving only support for tuition and miscellaneous and some others, especially those enrolled in schools in Cagayan de Oro and Davao, are provided free transportation to and from their campuses. 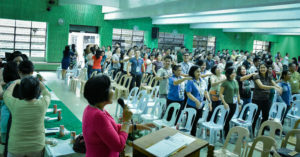 Seventeen BukSU faculty members are also grantees of the Commission on High Education Scholarship with most of them taking doctorate degrees in the University of the Philippines Diliman, De La Salle University, the Ateneo system, MSU-IIT and other state and privately owned universities in the Philippines. 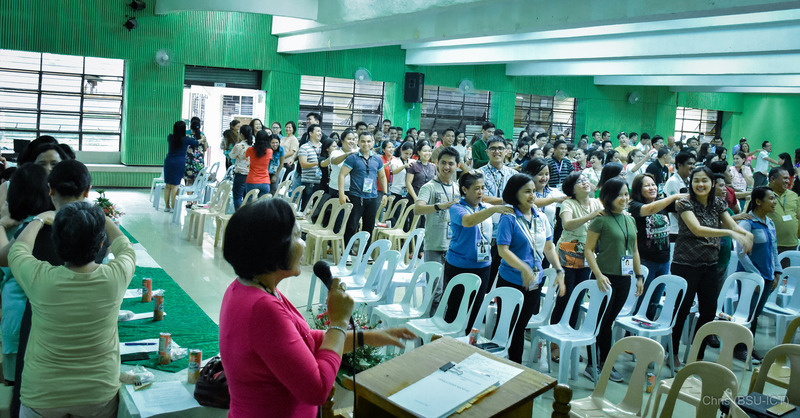 A boost in the faculty profile will also help the university edge higher in the Department of Budget and Management-CHED leveling among State Universities and Colleges (SUCs), where two key results areas (KRA), No. 1 on instruction and No. 4 on management of resources provide corresponding points to faculty with PhDs, said Prof. Rosanna S. Generato, former BukSU planning officer and incoming Human Resource and Development Officer.